Third trimester tips are tips that are supposed to make this time easier for you. Remember about it, because soon everything is going to be around someone else! For now, make yourself some favors! Stay comfortable, take care of yourself and let others do things for you; it is not a shame. Here is a short list of what you should remember about during the last weeks of pregnancy. You probably eat healthy already although you may consider changing your daily meal plan a little bit. Having more small meals throughout the day helps with reducing heartburn and gas pains. Drinking plenty of water prevents swelling. Try keeping water bottles around the house, to make sure you remember about hydration. There are two arguments to exercise while pregnant: it may soothe pregnancy aches and pains, but also you will be better prepared for carrying a child. Few months with a belly may seem like an exercise itself, but while for taking care of the newborn, you will need much more muscles! In the third trimester, it is essential to lower your stress level. Reading reliable guides will keep you well-prepared; hence - your brain will remain calm. 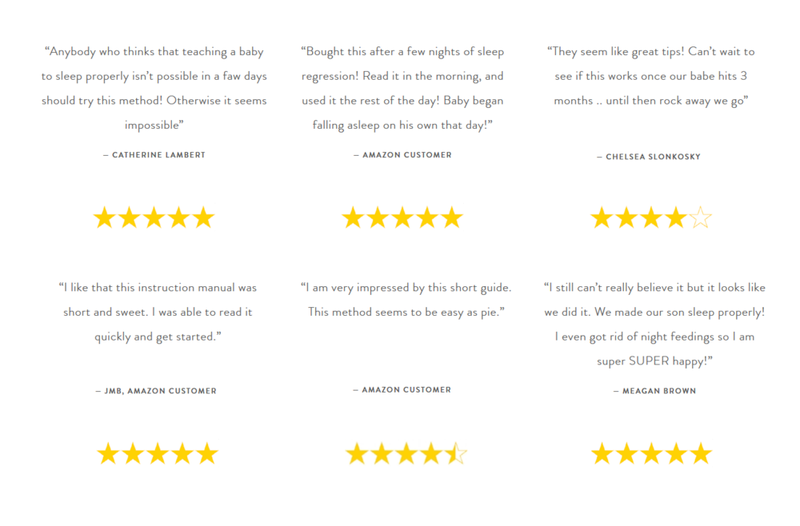 It is the right time to read my How to make breastfeeding pleasant and easy guide and the one about sleep training as well. In fact, since you’ll have plenty of time, you may enjoy reading all of my guides right away! Sleep as long as you can! Go to bed early, stay in bed late, take naps whenever you feel tired and enjoy it! They say you cannot accumulate sleep, but you will miss that feeling, so it’s worth giving a shot! The third trimester may be tough, especially if you’re expecting in summer, but you need to stay positive. In a few weeks, your life will change forever, and you will meet the most precious being in your life! Baby Sleep Sack or Swaddling? You may pay with any of the above methods. We respect your privacy and have a zero tolerance for spam. We do not store credit card details nor do we share customer details with any 3rd parties. Because our products are digital goods delivered via Internet download we generally offer no refunds.